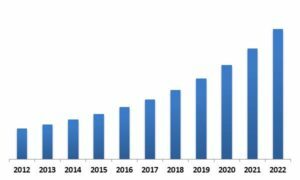 According to a new report Asia-Pacific Smart Watch Market, published by KBV Research, the Smart Watch market in Asia-Pacific is expected to attain a market size of $8.1 billion by 2022, growing at a CAGR of 25.8% during the forecast period. leading to a competitive market environment. 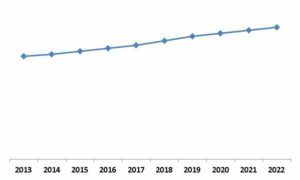 Asia-Pacific Smart Watch Market Growth Trend, 2013-2022 The Personal Assistance market dominated the China Smart Watch Market by Application in 2015, and would continue to be a dominant market till 2022; growing at a CAGR of 20.0% during the forecast period. Asia-Pacific Smart Watch Market Revenue Share by Country, 2012 2022 (in USD Million) The report has exhaustive quantitative insights providing a clear picture of the market potential in various segments across the countries in Asia-Pacific. The key influencing factors of the Smart Watch market in Asia-Pacific have been discussed in the report along with the elaborated company profiles of Apple Inc., Samsung Electronics Co. Ltd., Sony Corporation, Google Inc., Lenevo Group Ltd., Garmin Ltd, Fitbit Inc., Nike, Inc and Adidas AG.